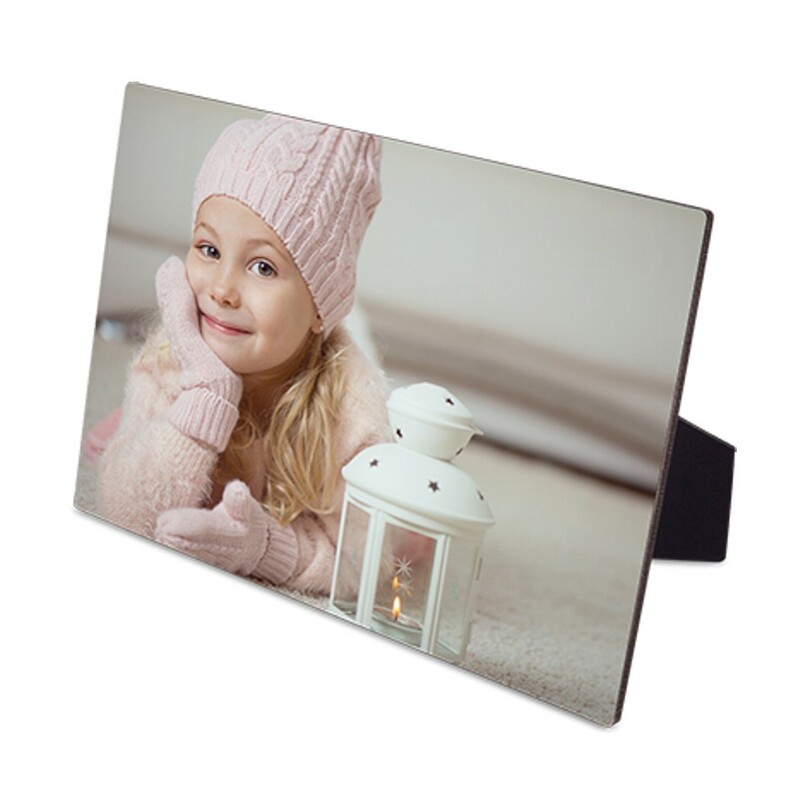 Personalised Full Colour Flat Top Photo Board with Stand. The photo board is available in 2 sizes. Large – 12” x 8” and Small – 7” x 5”.